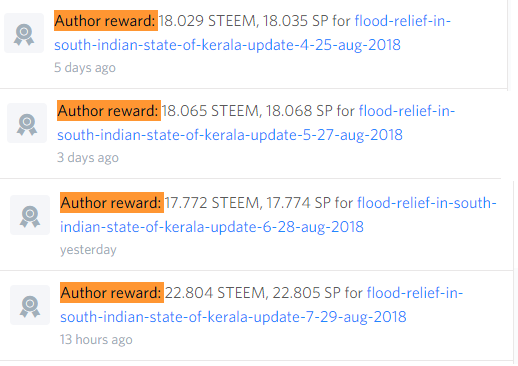 This is the 15th update post for the Fundition.io project I have created with regards to the fundraising for flood relief activities in the form of the donations to the Chief Minister's Distress Relief Fund in the South Indian State of Kerala. In this post, I will just be updating on the new donations and additional support we had from 31st till yesterday. We had 2 more donations in this period with @oodeyaa contributing an additional 5.140 SBD to his previous contribution of 5.096 SBD and the other donation was from @slobberchops who came forward to help for this cause by posting a blog of his own asking for support and the post payout from his blog was approximately worth 1.7 Steem, which he donated for the project. In addition to this, as always, we had regular huge value upvotes from @fundition, which is the biggest contributor to this cause through it's upvotes. In below content, I will be updating with the transactions details of the post payout values for the updates from 31st August till yesterday starting from fourth update post. We had 4 post payouts related to this project with realized Steem amount 76.67 Steem. Below are the details of transactions for the same. As always, @the support from @fundition stands out in that realized amount as it was the biggest supporter. As I mentioned above, we had 2 new donations one each from @oodeyaa and @slobberchops and the transaction details are as in below screenshot. 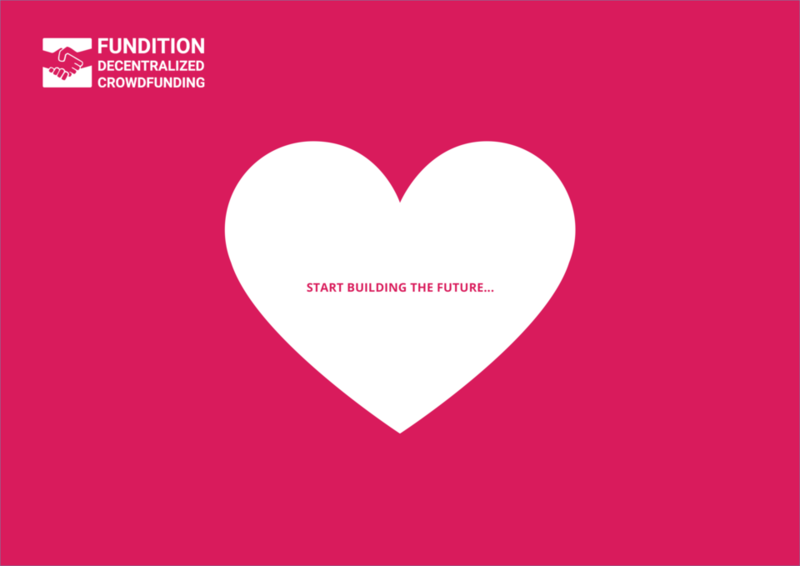 Besides the constant bigger upvotes from @fundition and the donations as mentioned above, the update posts are being constantly supported by many Steemians through their upvotes, resteems and spreading news about this project and the details of such upvotes can be seen on fundition.io with the link provided at the beginning of this blog. I would like to extend my gratitude to all those who are supporting this project to provide a little relief to the people of Kerala to come out of their struggle to get back to normal life once again. It's a proud moment for me as I have been invited to be part of @pennsif's weekly talk show named as The Alternative Lifestyle Show to give an update on this fund raising project and try to make this project reach more bigger audience in order to gather more support and reach the goal at the earliest. Thank you @pennsif for the invitation. I would like to conclude this blog by saying that, the very thinking of starting this project changed my life as I have moved from just a Steemit blogger to someone who can be part of people's life and be part of their struggle and try to help as much as I can. Thank you all for supporting me in this.